In a series that bring together the best parts of all our guilty pleasures; part Dawson’s Creek, part Gossip Girl, and part Twin Peaks, Riverdale is a modern take on the classic comic “Archie”, but it’s the shows MVP “Cheryl Bombshell Blossom” that keeps us coming back week-after-week. Resident mean girl, Cheryl Blossom, is played to perfection by Madelaine Petsch, brings out the characters complex personality with subtle nuance as she shifts between bratty, brave, bitchy, and broken. Queen of the B’s! At 22, Madeline’s road to Riverdale happened when all stars aligned at an audition for Berlanti Productions “Legends of Tomorrow”, the same production company behind Riverdale, and let’s just say one thing lead to another and things blossomed in the name of Cheryl. Since landing the dream role on Riverdale, Madelaine has been unstoppable with two new projects out this year; a comedy “F*&% the Prom”, with POPULAR Guy Aidan Alexander, and a horror film “Polaroid”, set to be released in August. 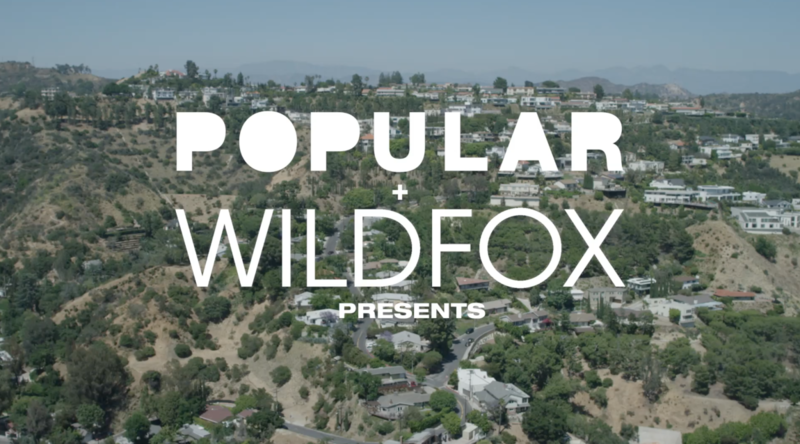 In the meantime, check out our exclusive POPULAR x Wildfox “behind the scenes” video.